Vatican City, Oct 8, 2018 / 03:10 am (CNA/EWTN News).- The president of the U.S.’ bishops’ conference said Sunday he welcomes the Vatican’s announcement of a further investigation into files on Archbishop Theodore McCarrick, praising the pope’s steps to end sexual assault. “On behalf of my brother bishops in the United States, I welcome the statement of October 6 from the Holy See which outlines additional steps Pope Francis is taking to ensure the faithful are protected from the evil of sexual assault,” Cardinal Daniel DiNardo said. DiNardo’s Oct. 7 statement was a response to the Vatican’s announcement that it would review its files pertaining to allegations of sexual misconduct on the part of McCarrick, who has been accused in recent months of serially sexually abusing two teenage boys, and of sexually coercing and assaulting priests and seminarians during decades of ministry as a bishop. The Archdiocese of New York has already conducted a formal investigation into one allegation that McCarrick serially sexually abused a teenage boy in the 1970s, and announced in June that the allegation had been found credible. “The Holy Father’s ‘pressing invitation to unite forces to fight the grave scourge of abuse within the Church and beyond’ has been and will continue to be diligently accepted by the bishops of the United States,” DiNardo said. “Pope Francis echoes the call of Christ to be with survivors in their time of need. Let us respond simply. ‘Yes, Lord!’” he continued. “We unite in prayer and service with His Holiness as he leads the Church to meet our brothers and sisters in their suffering. With a pastor’s heart, the Holy Father calls us to a path of healing,” the statement concluded. 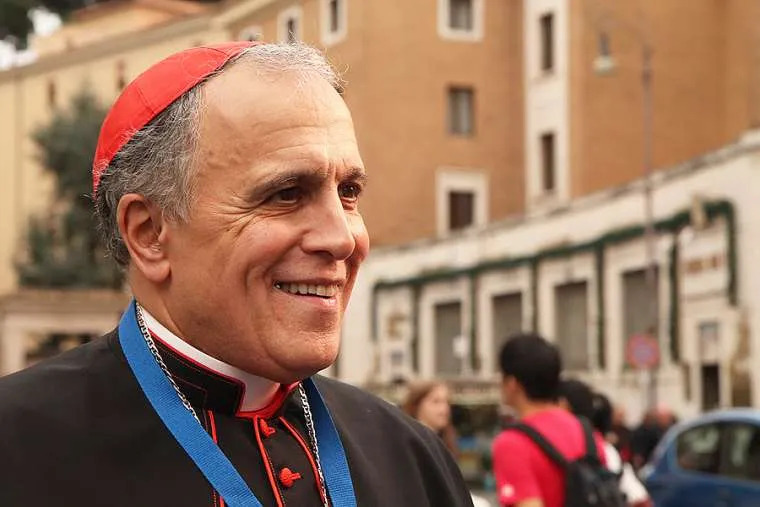 DiNardo, who is Archbishop of Galveston-Houston, also met with Pope Francis and other Vatican offices Oct. 8, ahead of the U.S. bishops’ fall general assembly next month. USCCB Vice-President Archbishop José Gomez of Los Angeles and Msgr. Brian Bransfield, USCCB general secretary, were also present at that meeting. They were joined by the conference’s associate general secretary Msgr. Jeffrey Burrill. The meeting took place just one month after Cardinal DiNardo, Archbishop Gomez, Msgr. Bransfield, and Cardinal Séan O’Malley of Boston, met with Pope Francis to discuss the ongoing sexual abuse scandals in the Church in the U.S.
Vatican City, Feb 17, 2018 / 08:53 am (CNA/EWTN News).- During his annual Lenten meeting with the priests of Rome last week, Pope Francis confirmed that Blessed Pope Paul VI will be made a saint sometime this year. “Paul VI will be a saint this year,” the Pope said Feb. 15, at the end of a long question and answer session with priests of Rome. The text of the private meeting was published by the Vatican Feb. 17. During the meeting, Francis gave lengthy answers to four questions from priests. Afterward, texts containing meditations by Pope Paul VI, a gift from the Pope, were handed out to each of the priests. “I saw it and I loved it,” Francis said about the book. “There are two [recent] Bishops of Rome already saints,” he continued, referring to St. John XXIII and St. John Paul II, who were canonized together in April 2014. According to Vatican Insider, Feb. 6 the Congregation for the Causes of Saints approved the second miracle needed for the canonization of Bl. 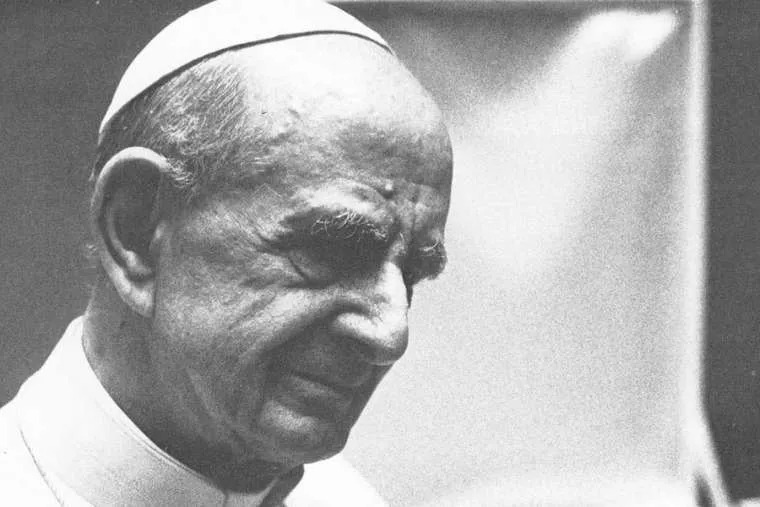 Pope Paul VI by a unanimous vote. The next step is for Pope Francis to also give his approval, with an official decree from the Vatican. Then the date for the canonization can be set. The canonization could take place in October of this year, during the Synod of Bishops on the youth, Vatican Insider reported. The mother, originally from the province of Verona, Italy, had an illness that risked her own life and the life of her unborn child, and was advised to have an abortion. A few days after the beatification of Paul VI on Oct. 19, 2014, she went to pray to him at the Shrine of Holy Mary of Grace in the town of Brescia. The baby girl was later born in good health, and remains in good health today. The healing was first ruled as medically inexplicable by the medical council of the congregation last year, while the congregation’s consulting theologians agreed that the healing occurred through the late pope’s intercession. Missing the mark again! Studying the files is not the same as studying the behavior. Studying the files is an attempt to control the cover-up, especially on Pope Francis part. Studying the behavior of McCarrick, especially the financial end (potential money-laundering) and abusing seminarians would result in church reform. It would also been a signpost if other Bishops, Archbishops, and Cardinals have done the same. Once again, this would leave the US government to actually expose the crimes committed by McCarrick and others within the Church hierarchy. Studying the files I hope doesn’t mean altering the files before a RICO investigation is launched.